Available in three tinted glass frames, this handcrafted accent mirror features beautifully bracketed pieces of glass with beveled edges. 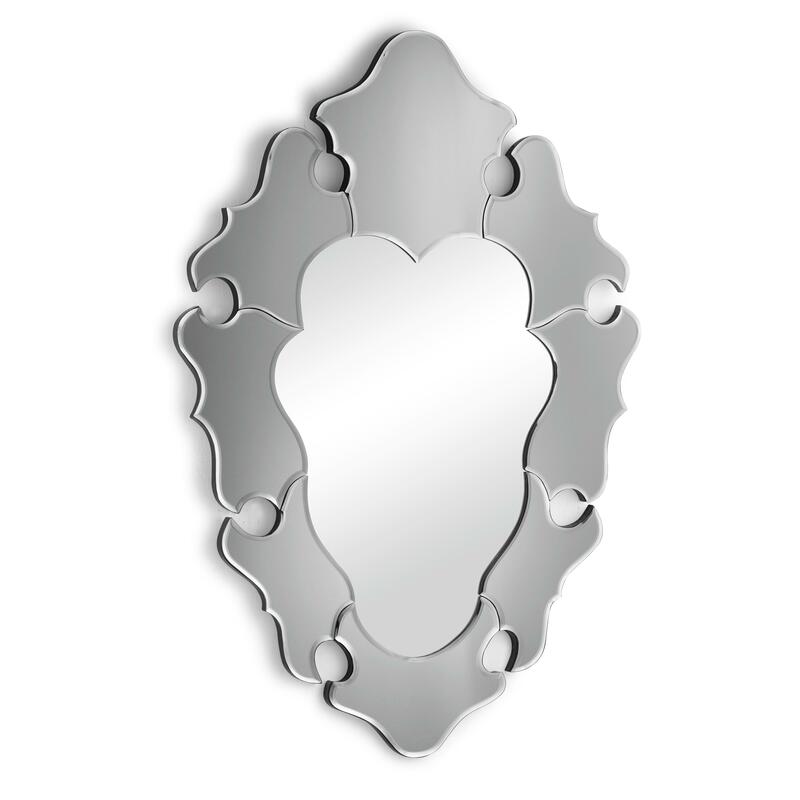 Hang this mirror over a vanity or on any wall of your home for a highly stylish contemporary accent. A solid back and dual wires for multiple hanging positions guarantee that this mirror will stay exactly where you hang it - and you can hang it just about anywhere! The Accessory Bracketed Fractal Frame Accent Mirror by Zuo at Royal Furniture in the Memphis, Nashville, Jackson, Birmingham area. Product availability may vary. Contact us for the most current availability on this product. If you want to assess your reflection, invest in a full length or make a pit stop at the vanity. Sure, these mirrors cast reflections, but they also make a statement and increase the aesthetic value of the room with cutting edge design. The Accessory collection features handcrafted fusion style accent mirrors for modern homes. Tinted glass mirror frames featuring multiculturally inspired design styles can be noted on some, while others are frameless, fractured compositions resembling artistically cracked and beveled sheets of glass. Each Accessory mirror has a solid back and dual wires for multiple hanging positions and can be features in any room of your home for a fresh and affordable modern accent. The Accessory collection is a great option if you are looking for furniture in the Memphis, Nashville, Jackson, Birmingham area. Browse other items in the Accessory collection from Royal Furniture in the Memphis, Nashville, Jackson, Birmingham area.